In Taranaki we have such beautiful gardens and parks, perfect for stunning location settings. Ekaterina booked her daughters, Natalia, 10 and Eve, 7 in for our Sister Sessions and chose Brooklands and the Chinese Gardens as their location. They dressed up in the Doll Cake Dresses which are exclusive to our studio. 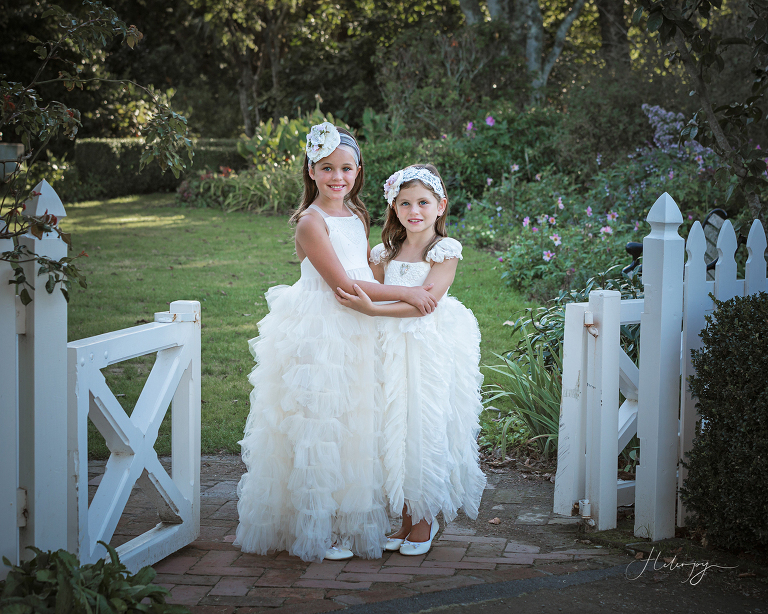 The girls looked stunning in the dresses and accessories, they told me they felt like princesses in them. We started photographing by the Gables in the late evening light and then ended up in the Chinese Garden where we found a bush of red and some soft pink roses for our backdrop scenes. 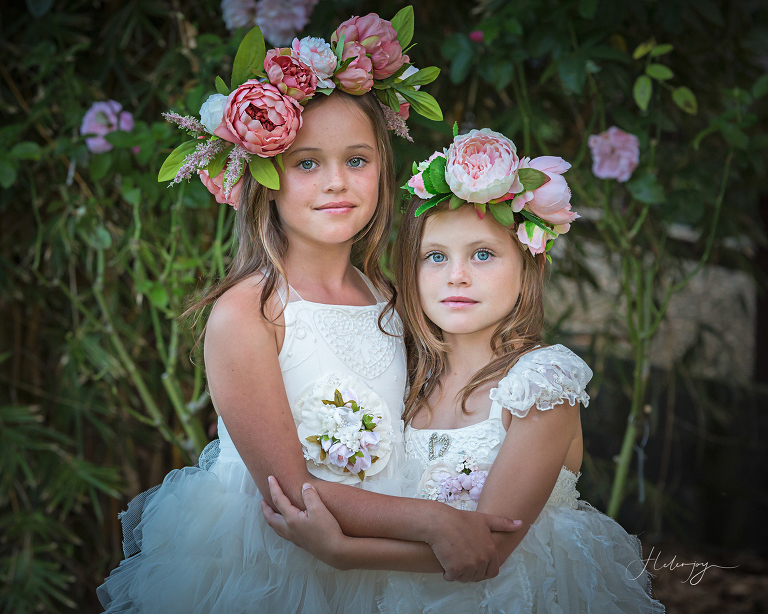 Later we added flower crowns made by Hayley Duggan to the Session (they are my favourite props which I use a lot). A honey bee thought they were irresistible and chased the girls around and around trying to land in the flowers, causing chaos and panic. Unfortunately a honey bee was harmed in the making of these images. Results from this location were stunning, the two sisters standing by the pink rose bushes was my absolute favourite, which was then taken through a Creative Art Process. I loved the soulful looks on their faces and the freckles on their noses, I really wanted to highlight them and make them a feature. For the background I recreated some areas from the left and added it to the right to give it balance. They both have such beautiful eyes and I wanted to emphasize them, to make them stand out, so all you do is go straight to them, they really are the window to their souls. Dressing up, it’s such a girly thing to do and we all loved the process and the results. If this is something you would like to do go to the contact page and express your interest, I would love to create a unique creative art piece for your wall too. First image has gone through a Creative Art Process, the others are straight from camera with a non creative edit. My style of photography is creative, unique and artful. 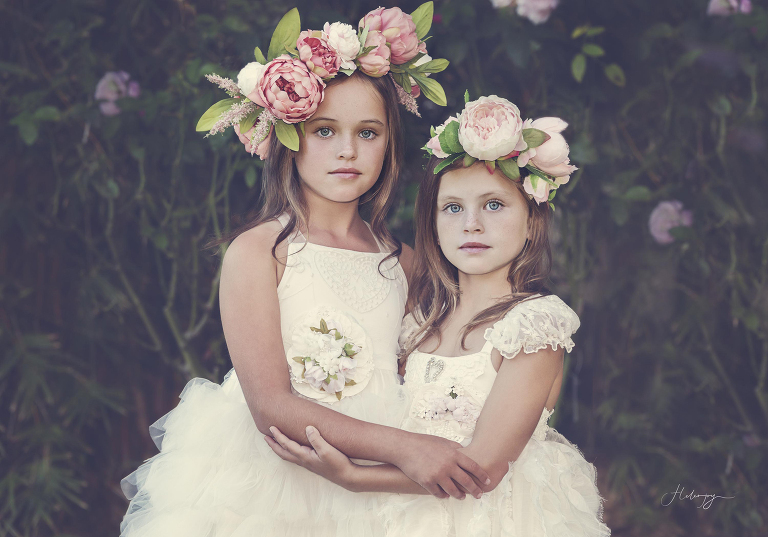 The Sister Sessions focuses on capturing the loving bond between the sisters in a creative, unique and elegant way. 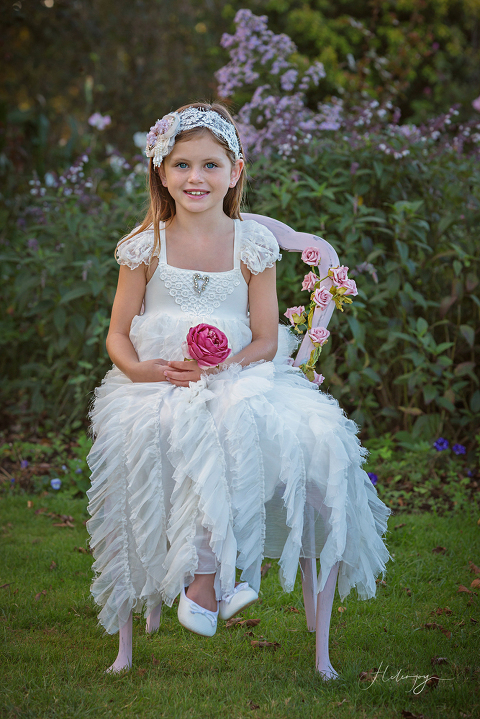 The result… beautiful and timeless portraiture. Sister sessions can be taken at any time and any location that suits this style. For location sessions evening light is always the best as it is soft and makes beautiful images that go beyond the ordinary. My home studio is located in Blagdon, New Plymouth, Taranaki. For more types of sessions please visit my portfolios. I also specialise in artistic maternity and baby photography in Taranaki. Please feel free to join my Facebook business page here. If you would like to know how it all works head over to my info page or if you would like to know pricing get a quote by simply filling in the contact form here. I look forward to hearing from you.